Here’s your favorite demonstration kitchen on YouTube! I ran across this saying while looking for a festive picture this morning and had to laugh. It wasn’t long ago that I lived by that motto throughout the holidays. From the time I woke up to the time my head hit the pillow, I thought about what bar or cookie, side dish, or “main event” I was about to indulge in. I ate until I was ready to burst, and usually had one more bite- JUST to be sure I wouldn’t feel hungry in 10 minutes. I think about that mentality now, and I just think: Yikes. Although our society often makes this time of year about the food, the expanding waistlines, the food comas, and the once-a-year delicacies we are about to indulge in… I challenge you to do a little reframing this year. 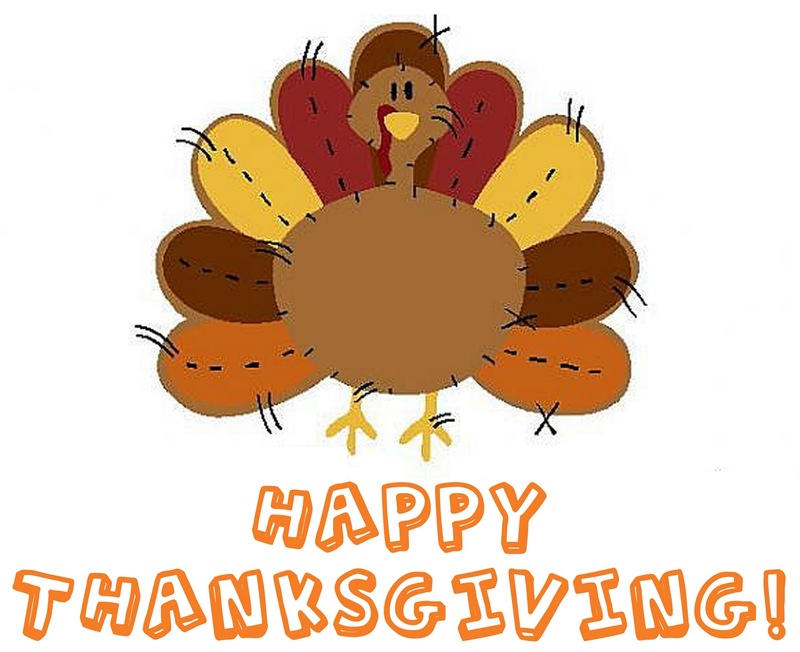 For me, Holidays have become more about the togetherness, the fun traditions (like digging out my “Festive” Thanksgiving sweater vest), and love of others, rather than the food on my plate. Don’t get me wrong- I have my favorite foods that I enjoy as well, but now I try harder to concentrate on the conversation rather than the fork-to-mouth ratio. One of my favorite things is now a bundled up brisk walk around the block with my aunts and cousins mid-afternoon. I know, it sounds crazy when you consider the temperature and quite often the wind, but it’s a great way to catch up with each other, get energized and burn off some of those extra almond bark pretzels I’ve enjoyed. Have you made any changes to the way you approach the Holiday season? How do you stay on track? Beef liver, clams, fish, meat, poultry, eggs, milk, fortified grains (check your nutrition facts label) – a multivitamin is for those who may be vegetarian or vegan. Preheat oven to 350 degrees. Line a large baking sheet with parchment paper and set aside. 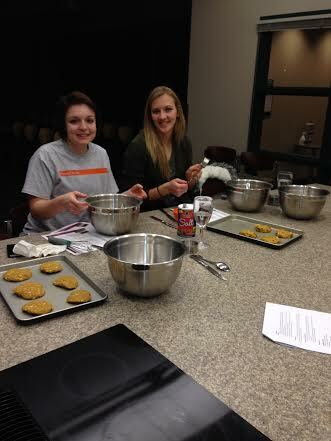 In a medium bowl, combine pumpkin, brown sugar, white sugar, butter, egg substitute, and vanilla extract. Mix thoroughly with a wire whisk or fork. Add flour, pumpkin pie spice, cinnamon, baking powder, and salt, and thoroughly stir until smooth. 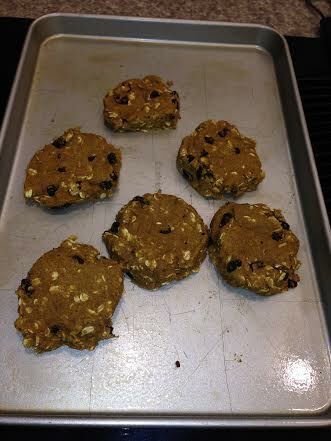 Add oats and chopped raisins (make sure raisins don’t stick together), and stir until evenly dispersed. Spoon batter onto the baking sheet in 8 evenly spaced mounds. Use the back of a spoon to spread and flatten batter into circles about 3 inches wide. Bake in the oven until a toothpick inserted into the center of a “softie” comes out clean, 12 – 15 minutes. Allow to cool and then enjoy! 1. 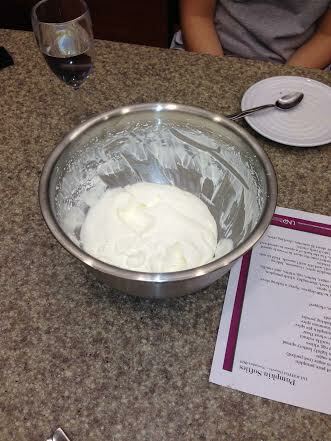 In large bowl, mix cream cheese and milk until smooth. 2. Beat whipping cream and powdered sugar with electric mixer on high speed, scrapping bowl occasionally, until soft peaks form. Cost of Living: Much More Than a One Time Fee. After a year or two of living in the residence halls at UND, some students want to get away from the “random roommate” situation and want a place of their own. It is important to evaluate your options to ensure that your living situation supports your academic success, a healthy lifestyle, and finally, your bank account. More than just a one-time fee. Let’s face it, the UND Residence Halls provide just about everything a student needs once the bill is paid. A one-time payment through Campus Connection provides a furnished room for a semester complete with internet, cable, garbage, cleaning services, dining services, to name a few. When moving off campus, it is very important to understand what expenses will be incurred each month should you choose to move off campus. What will my fixed monthly payment be? What expenses will be variable each month and when will I be expected to pay? From Dining Services to Ramen? The dining centers provide all sorts of entrees, sides, and desserts with your one-time payment. Once paid, you will have a semester of either unlimited food or a blocked meal plan. Yet, the meal plans offered may not be the cheapest eating if you don’t utilize the service enough. On the other hand, living off campus brings a new set of obstacles. Unless you purchase a campus meal plan, you will have to grocery shop, plan meals, cook, and do dishes for yourself. These are costs and time commitments that must be accommodated to your lifestyle. Do I have basic cooking supplies: bowls, plates, silverware, pans, cups, and cleaning supplies? Can I resist the temptation to go out to eat and cook at home instead? Will I make healthy meals at home, or will I eat Ramen every day? Living in the Residence Halls includes a furnished room, bathroom, and shared living rooms. This means a bed, desk, and drawers are provided. When moving off campus, it is likely you will need to purchase some larger furniture to complete a bedroom, kitchen, and living room. For many students, especially upperclassmen, these are items that they will need to purchase after graduation any way and buying now is a head start. A great time to purchase used items is in May as many students are graduating or transitioning and don’t want their old stuff or at least don’t want to move it with them. Do I have the funds to purchase larger ticket item living expenses? Will I need to rent a moving van to transport furniture? What will I do with these items when I graduate? How much will it cost to move them? Every UND Residence Hall is located within easy walking distance to the UND classrooms. When moving off campus, there are options near and far. Evaluate your transportation resources and account for the expenses that come with owning a car: repairs, gas, and maintenance. Can my car survive the winter? Is there a bus route nearby my place of living? Can I carpool or will I need to purchase a parking permit? Know what you are signing. The Residence Hall contracts a student for a semester or full school year of living. A contract for an apartment or house will likely last for a year. For students staying in Grand Forks for the summer, this is a great option. Regardless of where you live, you will have to pay for these months unless you sublease to a different renter. Will my roommates pay their rent on time and will they be present for the whole term of the lease? Do I have enough money to pay the deposit? Do I need to mow the lawn, shovel snow, and upkeep in general? Good morning UND looking like another nice day with a cool breeze. The movie of the week this week is every movie so make it a good one. So, I was riding the city bus with a friend the other day and I said, “hey is that Tom Brady?” and my friend said “Why would Tom Brady be on the Grand Forks city bus?” Anyway, I yelled “Tom!” “Did he look?” I exclaimed. My buddy said “what?” Okay, well if I yell again you have to look, so I yelled again “TOM BRADY!” he said no it’s not him. 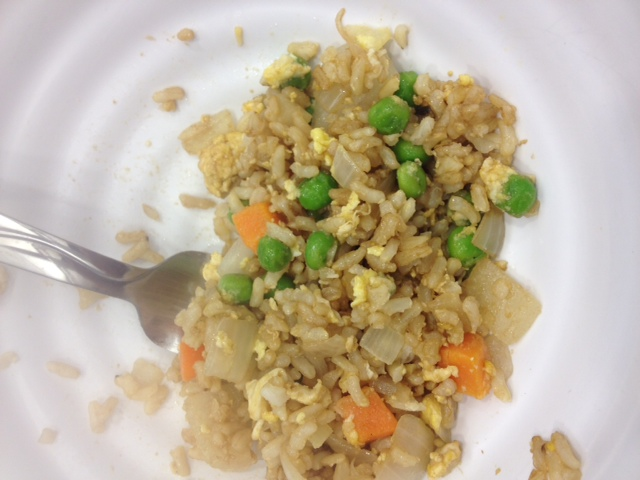 Today at Cheap Fast and Healthy we made better-than-takeout fried rice. We used brown rice to increase the nutritional value of the rice. 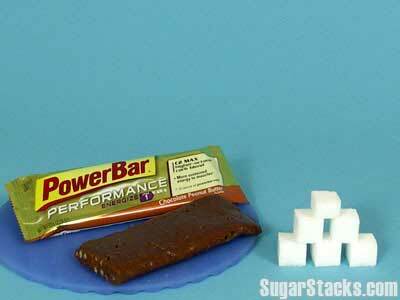 It is a pretty simple recipe to make and also very inexpenssive! All of the ingredients costed around $8 and it served 7 people! 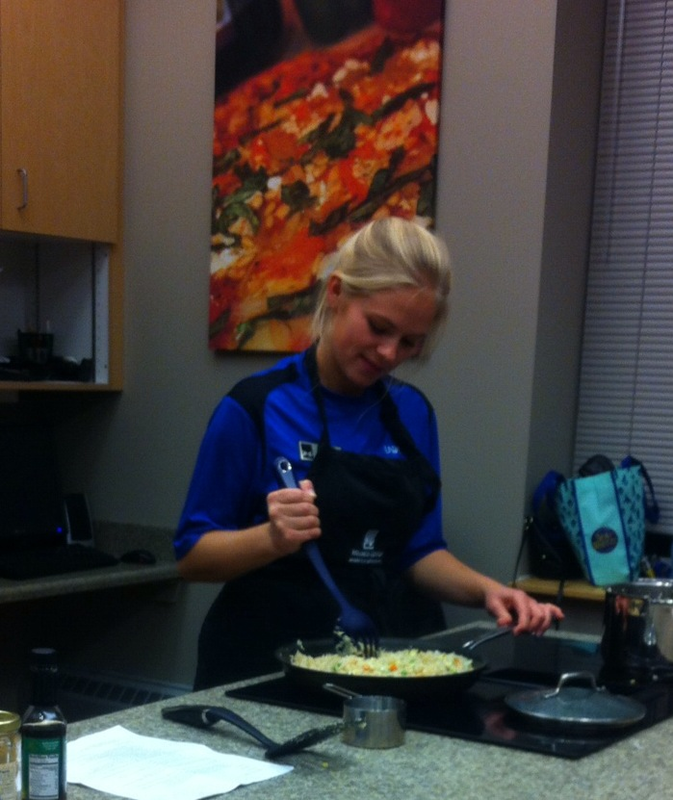 Come back next Tuesday at 5:30 and see what is cooking in Culinary Corner…. FOR FREE! Add rice and soy sauce to pan. Stir in soy sauce and remove from heat. Any student who has taken chemistry labs would testify that a ton of weight measurement are taken throughout the course. Even though I’ve taken soooo many weight measurements (with 3 chem labs under my belt, and anticipating 2 more), I still have a difficult time visualizing what one gram of a substance looks like. While surfing the web (yay for outdated sayings! 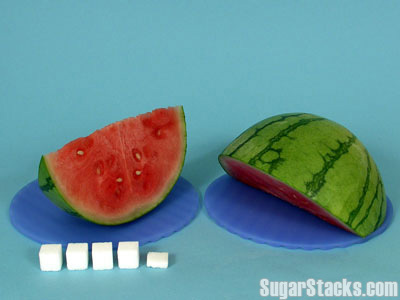 :)), I came across a great website: sugarstacks.com. 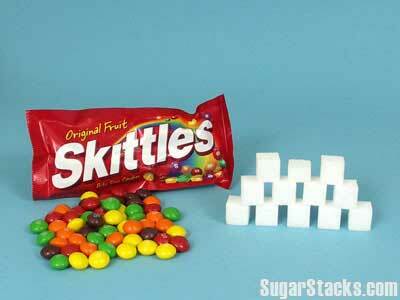 This website offers visualizations of sugar content in popular foods. I. Was. Floored. 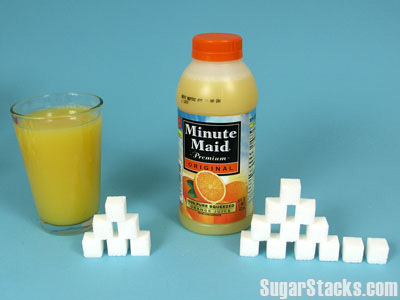 Being that my “one gram” visualization skills aren’t the greatest, these pictures helped open my eyes to the egregious sugar content in commonly consumed foods. I needed to share this! 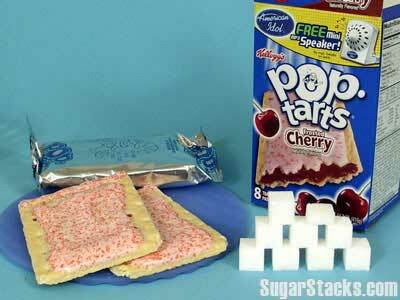 Below, I picked out some foods that typical college students consume. 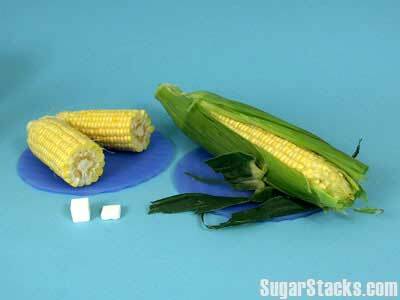 All of the pictures and sugar content information belong to sugarstacks.com. 24g in a serving, 72g in the can. WOW! 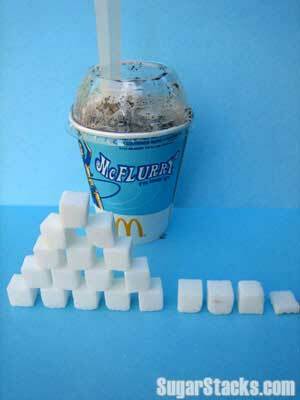 It sure helps to see the sugar cubes stacked in front of the foods. Now what does this mean for calories? 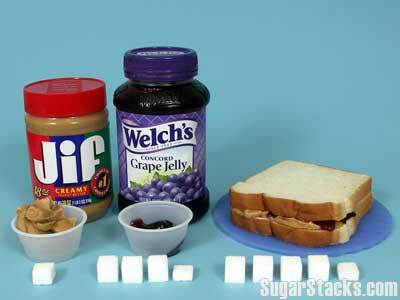 Since sugar is a carbohydrate, each gram has 4 calories. 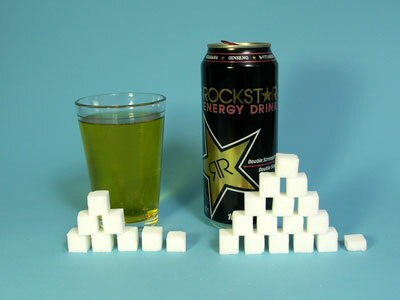 Let’s take the Rockstar energy drink that was pictured first. It has 62g of sugar per can. 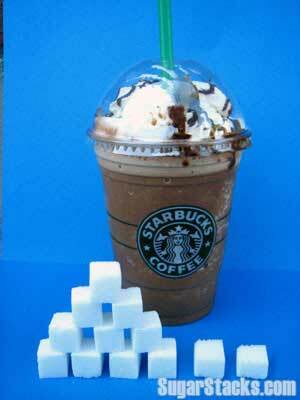 62g x 4 calories per gram = 248 calories. 248!!! 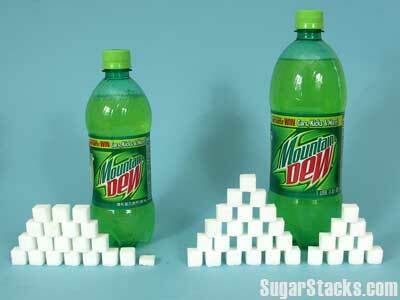 That’s only from sugar! 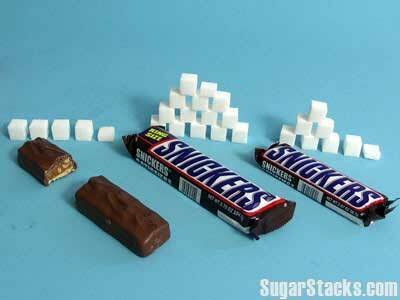 Hopefully these pictures will help you get a mental picture of sugar content in foods. 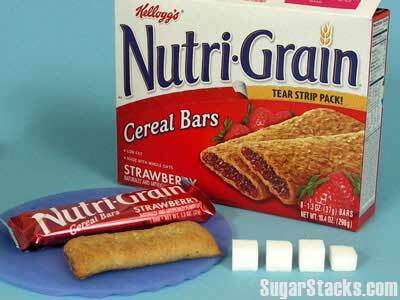 TIP: when checking out the nutrition label on foods, always check the serving size and amount per serving. 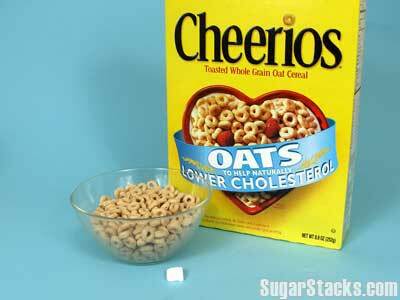 The label below shows its nutrition facts per 1 ounce serving size. 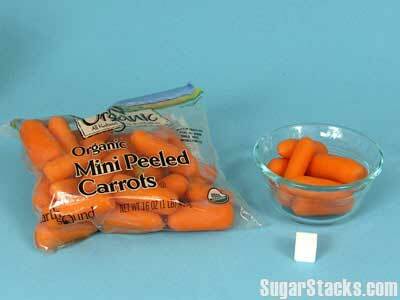 However, if you eat the whole bag of food (I took this image from google.com, I’m not sure what the product is), you must multiply the nutrients by 4 to determine what you actually consumed. 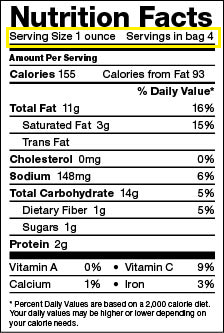 For example, if you ate the whole bag, you actually consumed 620 calories (155 cals per serving x 4 servings per bag), not 155 calories. 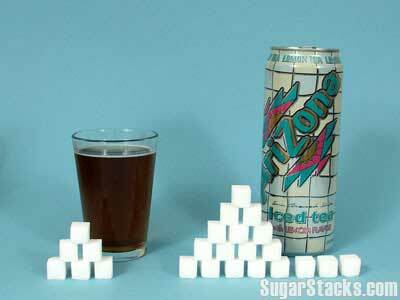 This can be deceptive, so be careful! ***I do not own any of the pictures in this blog.